Despite the tight-lipped suspension of TJ Bray and Jimmy Sherburne, Princeton dominated FDU on Saturday, moving to 6-1. The Tigers went into Saturday night’s intra-state match-up with Fairleigh Dickinson far more concerned about who was not available to play than who was. A late first half surge, sparked by Ben Hazel’s three to give the Tigers a 9 point lead, helped Princeton overcome hot-shooting Sydney Sanders, Jr. and the Knights, 77-55, in what became a bench-clearing laugher. Tiger highlights included a game-high 18 points from junior Denton Koon, clearly emerging from recent shooting woes, and the first career double-double for freshman Spencer Weisz, who canned 17 while grabbing 10 rebounds. He earned Ivy Rookie of the Week honors for his performance. As a team, Princeton continued to find the range from behind the arc, making 11-28, a 39% rate, while yielding a stingy 3-15 to FDU. The much taller Tigers outrebounded the quicker Knights, 43-28, 15 of which came at the offensive end. But the big story in Jadwin was the absence of starters TJ Bray and Jimmy Sherburne, due to unspecified violations of “team rules.” Speculation raged, as might be imagined. Toothless Tiger is confident in reporting that Bray’s suspension is limited to one game, while Sherburne will be forced to miss next week’s games at Rutgers and Penn State. Questions regarding the nature of the infractions, the involvement of the NCAA in the investigation, and the manner in which the matter came to the attention of the athletic administration remain unanswered at this time. AD Gary Walters was present last night but observed the game from a remote location, far from the media. Mitch Henderson was obviously relieved after the game that the depth and versatility of his team was demonstrated again. Freshman Peter Miller got a lot of minutes, particularly after Hans Brase picked up his second personal foul early in the first half. He is not yet a viable option in the post, but he is getting there. Ben Hazel played another steady game in the backcourt and senior Will Barrett gave Henderson his typical workmanlike performance, despite some foul trouble of his own. The night belonged to Koon and Weisz, however, who stepped up at a time when the team needed a big lift. The Tigers, at 6-1, are off to their best start in 15 years. T.J. Bray’s much awaited return brought more positive news to the Tigers, who rolled in their two games this week. 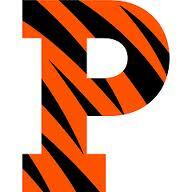 Princeton rebounded nicely from a tough loss at Butler to notch two wins this week. Shaking off first half doldrums against Lafayette at home, the Tigers managed an overtime win, 81-80, surviving the Leopards’ 11-2 run to close out regulation. The victory is significant since this was precisely the kind of game the Tigers could not finish in Henderson’s first two seasons. Denton Koon, the leading Tiger scorer coming in, shot a miserable 3-16 from the field. Good teams, though, find a way to win on their off nights. The Tigers made a quick weekend trip to Houston for a Saturday afternoon contest against Ben Braun’s Rice Owls. Watching his team throw the ball away must make Braun wistful for his Pac 10 days. The Tigers, who led 60-35 at one point, made quick work of the Owls, cruising to a 70-56 victory. The game marked the return to action of floor general T.J. Bray, who showed little, if any, rust in 15 productive minutes. Bray’s availability and the Tigers’ lead gave Henderson an opportunity to employ every conceivable combination of players. Ben Hazel is building an impressive case for a place in the crowded Tiger backcourt, making big threes and snagging more than his share of rebounds. Freshman big man Peter Miller continues to improve as he adjusts to the pace of the college game. Princeton cruised to a 67-50 season-opening victory against Florida A&M despite the absence of senior point guard TJ Bray. Heading into Princeton’s season opener against FAMU, Mitch Henderson knew he had some holes to fill following the graduation of Ivy POY Ian Hummer. He did not expect, however, that one of them would be caused by T.J. Bray’s broken finger, which will shelf the All-Ivy candidate for at least a month. Meanwhile, the Rattlers arrived at Jadwin, still smarting from a tough loss Friday at Rutgers in which they threw 84 points at the Scarlet Knights only to lose by eight, determined to end their New Jersey weekend on a positive note. Princeton responded with a trademark defensive performance, limiting the Rattlers to 50 points. Denton Koon, the 6’8″ junior forward, came off the bench to lead the Tigers in scoring (17) and rebounding (11), notching his first career double-double in a satisfying 67-50 win. Once upon a time there was a small New England coastal town. It was a beautiful place with pristine beaches, luxurious housing, and high end shopping. Four months a year it was flooded with mostly wealthy tourists from Boston, New York and Philadelphia. It was a magical place that had remained unspoiled by the outside world. Strangely, this select spot had only eight restaurants. The eateries were all very different in cuisine and for more than 50 years, it was a happy and stable collaboration. Still, two restaurants always seemed to get the vast majority of the customers and, thus, all the fame. Every Friday and Saturday night during the tourist season, these two culinary stalwarts were jammed with people. One was The Palace, an haute cuisine restaurant situated high on a hilltop overlooking the town. It catered to only the wealthiest patrons and boasted a Cordon Bleu-trained four-star chef who knew how to cook even the most complex dishes with elegance. Harvard is the Ivy champion again after a home sweep, while losses to Yale and Brown end Princeton”s run at NCAA Tournament glory. After an Ivy season with more twists and turns than this past season of Homeland, it was only fitting that the final back-to-back weekend would feature one last surprise at the top of the Ancient Eight ladder. Entering Friday, Princeton seemingly had one hand on the trophy, needing to win what was sure to be a hard-fought battle at The Church in New Haven, as well as at Brown, a team Princeton had completely stifled in its previous meeting at Jadwin. Harvard, on the other hand, with no margin for error, would be forced to contend with a Columbia squad eager to go out with one final win in its disappointing season, as well as depleted Cornell. Realistically, we seemed to be looking at a Princeton title or a playoff. Few could have predicted what went down. Harvard did what it has done all year and found a way to win. Once again, it wasn”t particularly pretty, but they made the plays they needed down the stretch. Against Columbia, Harvard led the Lions by 1 with just over 30 seconds left before Steve Moundou-Missi made a huge steal and flew in to slam the ball home to secure the W. On Saturday, Harvard led by 15 with 6 minutes to play, but a furious Big Red comeback almost made things interesting in the closing moments. The Crimson held strong though, keeping Cornell from scoring any FGs in the final 2:30, closing out a 65-56 victory. The win clinched a share of the Ivy title, and all eyes turned to Providence. Harvard”s players followed the score updates from Brown-Princeton, and got to enjoy a second round of celebrations when the final score came across the screen. The Crimson returns to the dance for the 2nd straight year, looking to improve upon its first round exit last season. Most bracket predictions have the Crimson as a 14 seed at this point, though it seems reasonable to expect Harvard to land anywhere between a 13 and a 15. Ivy League get more than two teams into the postseason? It”s a long shot, but still possible. of the CIT.) This season, it seems far more likely that we will see only two teams qualify for the postseason, though four teams technically remain alive going into this weekend. Yes, Brown and Columbia can still make the postseason if they reach .500, and there are 68 (NCAA) 32 (NIT) 16 (CBI) 32 (CIT) = 140 spots in this year”s four postseason tournaments. Let”s dive in. With Harvard unable to handle the deadly southern road trip, the Tigers look poised to grab the Ivy title…if they can navigate three tricky road games to close it out. All season long, Princeton and Harvard have traded places in our Power Poll, but the Crimson”s well-documented Jadwin blues, coupled with a shocker of a loss at the Palestra on Saturday, leave the Tigers in control of the title picture. There is still a lot of basketball to be played, but Mitch Henderson”s veteran squad will be a strong favorite in its final three road games and the young Cantabs can only take care of business and scoreboard watch at this point. Outside the top two, the Brown Bears were the big movers this week, while the injury-stricken Big Red continued to tumble. This will be our final Power Poll of the year, but make sure to check back next week for our IHO All-Ivy Awards.